Holistic Health & Natural Hygiene Defined! Natural Hygiene is a philosophy of healthy, natural living. At the College of Natural Health, our Natural Hygiene School, and School of Natural Healing, we believe in the body's vital ability to heal and maintain itself through natural means. We teach students how to teach others the basic principles and conditions for health, by first identifying them and then incorporating them into a lifestyle that secures optimum health. Our Holistic Health and Natural Hygiene practices are inclusive of the human spirit, mind, and body. Although the "conditions for health" listed above may sound simplistic, there is much to learn and many lifestyle attitudes and habits (and even addictions) to change. Students must study the strict guidelines relative to the laws of nature. They must become familiar with them and live them with a strong degree of proficiency before they can help themselves and teach others a Holistic Natural Health lifestyle that secures optimum health. What Our Holistic Natural Health & Nutrition Doctors Do Not Do! Our doctors do not diagnose disease. They analyze and evaluate conditions, symptoms, and lifestyle habits. Our doctors do not treat a specific disease. They teach Natural Health principles and lifestyle habits that will remove the root lifestyle causes of Toxemia. This will restore health and prevent disease. Our doctors do not prescribe drugs. They depend on naturally occuring vitamins, minerals, and other nutrients built into the plant structure of proper foods for human life that promote optimum health. Our doctors do not employ invasive medical procedures. They support medical intervention only in a crisis to save a life (such as to revive a stopped heart, to perform surgery when a birth canal is not large enough, to remove diseased and/or defective tissues that are life-threatening, to use medication to relieve unbearable pain, and to employ other life-saving procedures not in the aforementioned). Our doctors do not employ alternative health care procedures. Homeopathy, Herbology, Colonic Therapy, Naturopathic Medicine, Chiropractic and Reflexology, Rebirthing, Acupuncture and Acupressure, Magnetism, Urinology, Hydrotherapy, etc. To the extent, however, that all these alternative procedures reflect our Natural Health teachings, these alternative procedures are sound, invigorating, and beneficial; and to the degree that these various alternative health care procedures do not not reflect our natural health teachings, these alternative care procedures are false, enervating, and harmful. 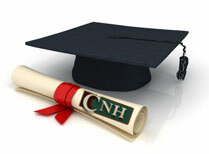 We educate professional Natural Health Doctors, Doctors of Holistic Nutrition, and Doctors of Natural Healing. Our graduates focus on healing the entire body naturally. They gain the specialized knowledge needed to teach others how to achieve balance and harmony between the body, mind, and spirit as a way to cure illness or disease.